There was a time in my younger life when I considered leaving the Catholic faith and joining a different Christian denomination. It was shortly after my fall and return to God. When I re-dedicated my life to Christ, I wanted to live for Him completely, but I didn’t have any Catholic friends who were actually practicing their faith. Instead, I made new Protestant friends who loved God and radiated that love in all they did. They strengthened my faith in a deep way, and ironically, it eventually led me back the Catholic Church where I met strong Catholics who did live out their faith on a daily basis. Unfortunately, like the Catholic friends of my youth, while I said that I had faith and went to Mass on Sunday, the rest of my life showed no witness to that faith. You could not tell me apart from the ones who never went to Mass in the first place. The experience taught me how important it is that our faith grows and develops into something deeper. From our faith flows virtue, which ultimately leads to the greatest virtue: LOVE—love of God and love of neighbor. There is no way to separate the two since faith and love go hand in hand. When I see faith, virtue, and love expressed in a person’s life, it is like a magnet that draws me in and I want to be a part of it. I want to taste that joy and serenity I see before my eyes. 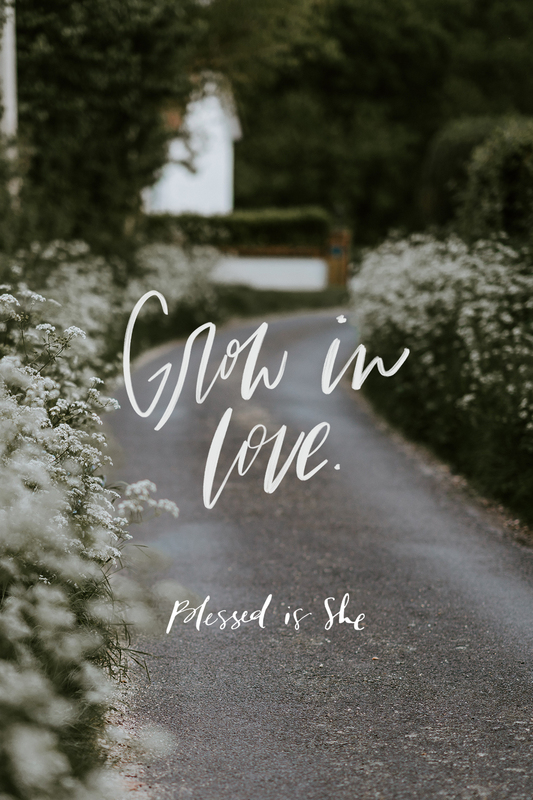 I consider that draw as an invitation from the Holy Spirit to dig deeper and work at building my faith and virtue so that I, too, may grow in love. In turn, hopefully I can be a light to someone else which draws them closer to God and so forth. I can picture the Holy Spirit rejoicing because He has so many instruments willing to be a witness to God’s love and He can set the world ablaze. How is God calling you to grow in your faith today? Pray an Act of Faith and meditate on it. I can completely relate to your experience of nearly leaving the Catholic faith to join another Christian denomination. When I was in high school there was little to no Catholic youth ministry in my city. While I loved going to Mass on Sundays (thanks be to God! ), my deep desire for authentic Christian friendship and fellowship was initially met when I went to Bible camp and then joined an evangelical youth group. Those great Christ-filled and joyful friends were close to influencing me to join them in their church, and some of them began asking me the hard questions about the Catholic faith based on the common misinterpretations. Those questions led me to study the Catholic faith in a much deeper level, and the more I studied, the more I fell in love with the truth, beauty and goodness of our Church that Christ founded! I’m super thankful for the way God brought me to where I am today and for the witness of fellow Christians– evangelicals and Catholics alike– who are on fire for Christ!! That witness truly is like a magnet that God uses in amazing ways!